Shopping for Sports: Football Pop! Vinyl Figures? Get ready for football season with a little help from the Pittsburgh Steelers! Create your own fantasy league team with only the best of the best in Pop! Vinyl Figure form. 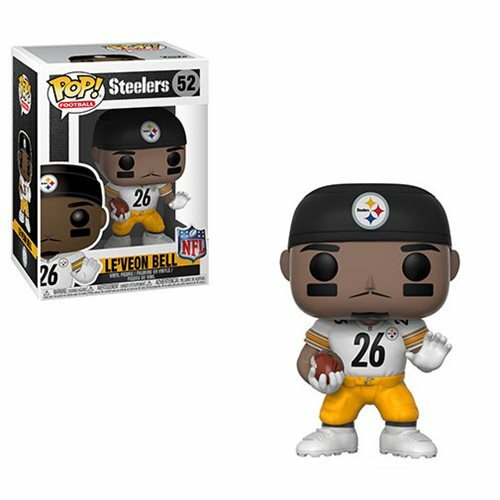 This NFL Le'Veon Bell Steelers Pop! Vinyl Figure #52 measures approximately 3 3/4-inches tall and comes packaged in a window display box.